If you have done any training with me in a class setting, you will know that I prefer to use soft meaty treats over the traditional dried liver or kibble treats. The reason for this, is that the dogs can swallow the softer treats much easier, and you don’t spend ½ of your training class waiting for your dog to finish chewing. In other words you get more bang for your buck. Likewise you will know that my dogs do not get fed from bowls. They are fed a mixture of dry food (kibble) and balanced raw diets with a special treat of fish for Sunday dinner. My dogs get much of their dry food in training, and the remainder of all their foods is delivered through the use of food dispensing toys and other enrichment ideas. At home it doesn’t matter if they take 1 second or 20 seconds to eat a piece of kibble. However, I have had several families that prefer to use their dog’s dry food in class. The problem they face is that their dog FIDO #1 can smell and see that the other dogs in class FIDO #2, #3, and #4 are getting yummier, tasty and greater smelling food. They become distracted, and are less focused. Think about it. It is much easier to gain your dog’s attention in a high distraction environment (class – either in the park – very distracting, or in the vet clinic with puppies and other smells around) with something super yummy, then their boring kibble that they have every day. So how can you increase the value of the dry food? #1 Add a little warm water (not too much) to the kibble and allow them to soften (if you add too much water you will just end up with a bag of mush that you won’t want to handle). 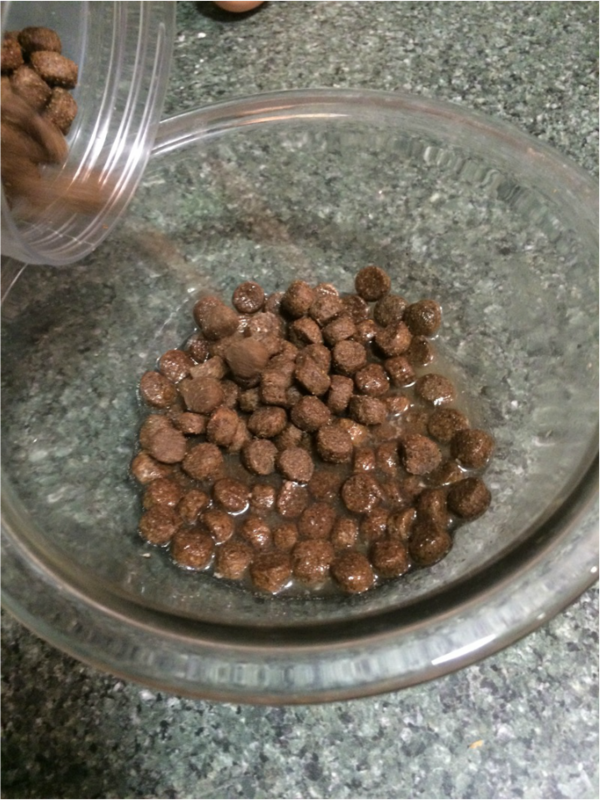 The warm water and softer texture of the kibble will be a new thing for your dog/pup. #2 Store a few pieces of meat/cheese in the bag with the kibble (overnight in the fridge). Remove the meat prior to taking the treats to class – or better yet – leave it in the bag and use it as a Jack Pot reward when your dog does something awesome in class. #3 Add a little juice of something tasty. 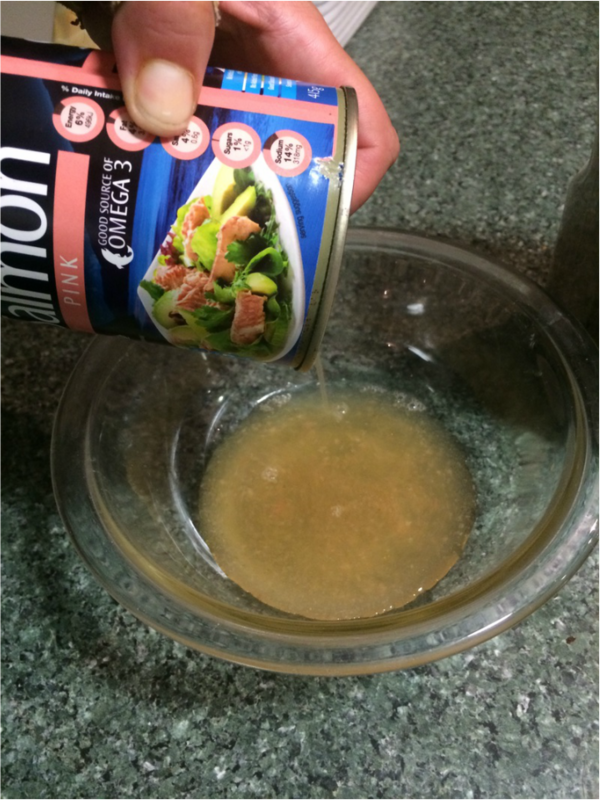 Canned fish is an easy one, juice left over from a roast etc. Mix well with the kibble (just enough to cover the kibble but not have them swimming in it). Pop it in the fridge overnight. The kibble will soften, and take on the taste of the yummy juice. 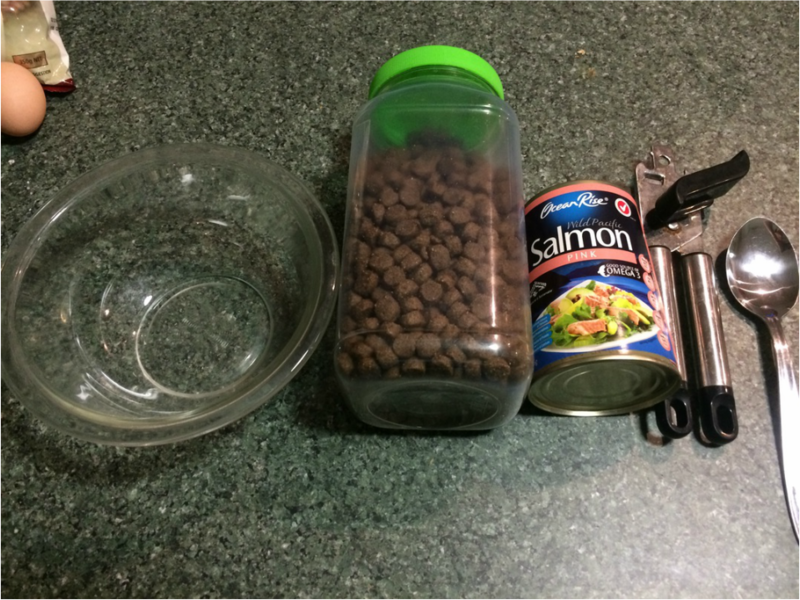 I use the fish juice left over from the fish day my dogs have or from my own canned fish I might have for lunch or dinner.